Augusto is Zanolli’s new dome oven that combines the aesthetic taste of tradition with the ease of use of electric ovens. 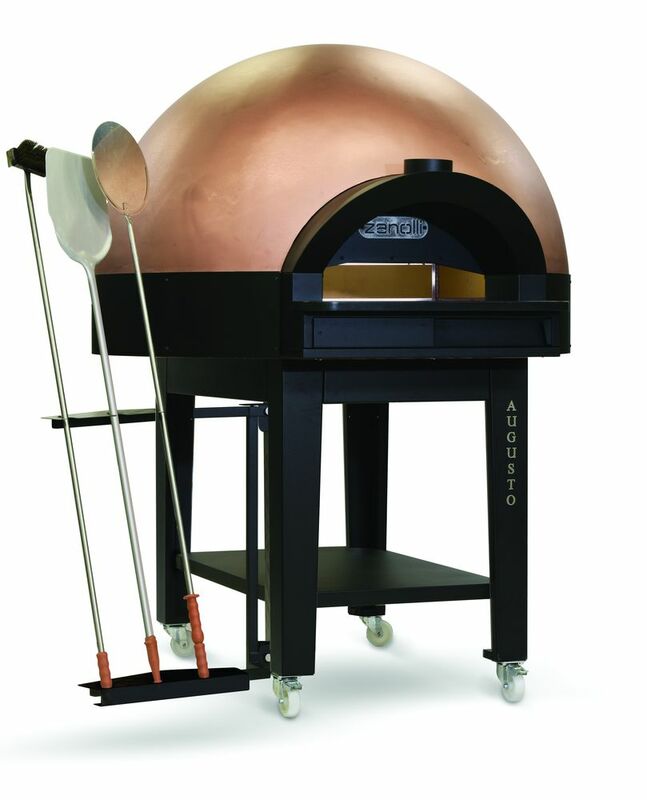 Available with one or two baking modules with refractory lining for cooking up to 6 pizzas at a time, it reaches a maximum temperature of 400°C thanks to upgraded heaters. The baking unit external dimensions are 165x190x200 (in the layout for 6+6 trays, it is 225 cm high) and the internal dimensions are 70x105x16 cm. Its weight is 210 kg, 350 kg in the 6+6 trays layout. Average power consumption reaches 13.8 kW. Internally the oven is lined with refractory material; its design is patented and available in a variety of colors on request.